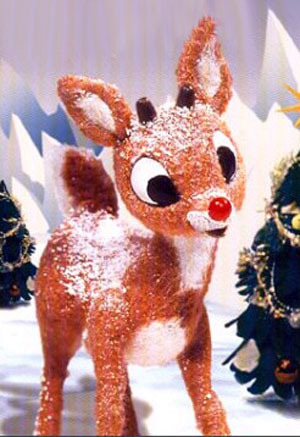 WHERE DO I PUT IT ALL and Planning for next Christmas- Happy Rudolph Day!!!! It is the 25th of each month!!!! 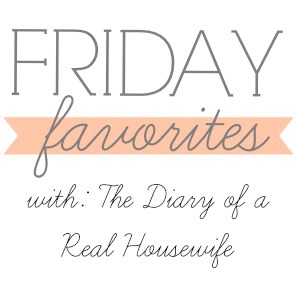 First, I want to thank Laura, over at I'm Not Trophy Wife, for featuring my post, Christmas Reflections, Traditions and Shopping Before and After Christmas Sales, from her Jan. 15th Friday Favorites party! I am frequently asked "Where Do I Put I t All?" and "How Do I Pack It All Away?" This is the huge ornament box which I have had for over 30 years and I need to replace next year with maybe 2 tubs that are for ornament storage. No, I do not wrap all my ornaments individually because I use these types of ornament storage!! This is the closet in my downstairs hallway that we use for our coats. There is a trap door that leads under the steps where our hot water heater is since we do not have a basement. We store heavier items in here so we do not have to haul them upstairs and then up the attic pull down stairs to the attic. This is one of 3 new ornament boxes that were bought at Dollar General for $5 each. These are perfect for storing ornaments from smaller trees like this one that I had in my Living Room this past Season. These are a little bigger than a computer paper box and are easy to handle and not too heavy if you put a lot of ceramic pieces in them. Why the bags? I bag arrangements up and label them too as where they are used!! This tub stays up there and I carry the florals up and down in a laundry basket because this tub is too big to haul up and down all the time. I have another one of these large tubs for the Kitchen and Dining Room florals. The one side of the attic has 8 of those sections and the other side, where the stairs are, has 6. I store decorations for other Holidays in the other sections. One of my goals for this year is to go through and organize things up the attic because I also have linens, serving items for parties and some garden things stored up there. We rent a Storage Shed!! It is 5 minutes down the road from our home!! When my mom died 11 years ago, we had 2 weeks from the date of death to clear out her Senior Citizen Apartment that she had lived in for the last 17 years of her life after my Dad died. With funeral preparations and everything else, my sister and I paid a moving company to move everything down to her 4 car garage until we were able to go through everything but since I had inherited my mom's bedroom furniture and cedar chest, I rented a storage unit until I could get rid of my current bedroom furniture and re- do my bedroom and then move her furniture into it. Once we rented the unit, we found it was invaluable for storing things and then moved everything into this larger unit that we pay a little over $80 a month for. Also stored in this Shed are my already made crafts for craft fairs and some supplies, all outside garden things and Joe stores his seasonal clothes down here in tubs too along with some furniture not in use. One of my goals this year, is to go through and organize this shed a bit better than Joe has it done!! One year, Joe stopped at a Burger King Drive Through on his way home with the Trees and could not imagine why the girl behind the window kept looking at him strangely. I was afraid she would have called the police , saying he had 2 bodies in the car!!!!! Okay, so that is where and how I store everything!!!! I hope it answered those who wanted to know!! This is a wonderful site that featured posts, recipes, tips and all kinds of pages to print out to help you with keeping organized for Christmas!! HERE is a link to a post I did on this! A record of how much I spend on everyone, my Christmas card list and what cards I will be using for the following year because I buy a lot of cards on clearance and right now I have enough cards for the next 4 years!!! Along with Christmas Computer Paper, Recipes Cards, Christmas party Invitations, Thank you cards, Etc. Waiting to be decorated for Valentine's Day!!!! Why do I decorate for Winter you ask???????? I was off that night and did not have to drive in it but another 4 inches or so is predicted for Sunday night into Monday and I will be driving to work in that one because there are no Snow Days off for Hospitals!! I do LOVE Snow and Winter but I just wish I did not have to drive in it and could admire it from the windows of my home! !